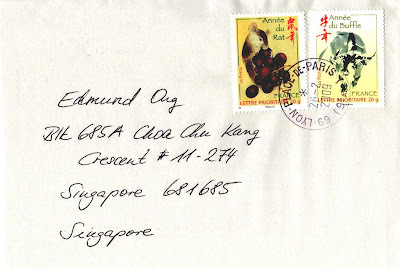 Great thanks to Thomas Nikoleit for sending me this lovely cover from Lyon, France. 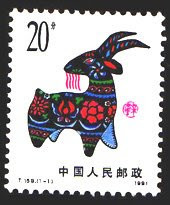 The 2 beautiful stamps used on this cover are part of the ongoing zodiac series issued by La Poste (Postal service of France) in 2008 (rat) and 2009 (ox) respectively. 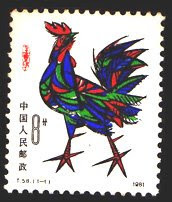 It started the Chinese Zodiac commemorative stamp for the first time in 2005, marking the Chinese year of the Rooster. 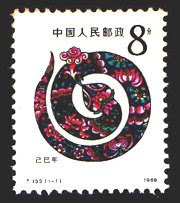 No one knows when the Chinese calendar officially began, but it is generally accepted that Year One corresponds to the time when Emperor Huang Di began ruling China (equivalent to 2697 BC). 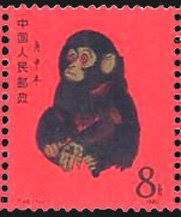 Thus, 2009 (after Jan 26) corresponds to the Chinese year 4707. 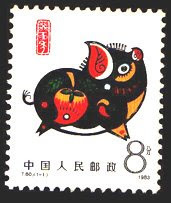 The zodiac traditionally begins with the sign of the Rat and ends with the Pig. Of all the animals in the world, why were these 12 chosen? There are many stories explaining this and they all share a similar theme: there was a race and the first 12 animals who arrived at the finish line were chosen. The cat and the rat were best friends. They were the worst swimmers in the animal kingdom. Although bad swimmers, they were both intelligent. They decided that the best and fastest way to cross the river was to hop on the back of the ox. The ox, being a naïve and good-natured animal, agreed to carry them across. However, overcome with a fierce competitiveness, the rat decided that in order to win, it must do something and promptly pushed the cat into the river. Because of this, the cat has never forgiven the rat, and hates the water as well. 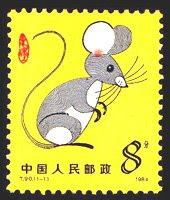 After the ox had crossed the river, the rat jumped ahead and reached the shore first, and it claimed first place in the competition. 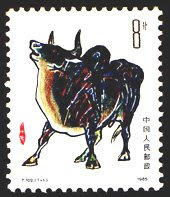 Following closely behind was the strong ox, and it was named the 2nd animal in the zodiac. After the ox, came the tiger, panting, while explaining to the Jade Emperor just how difficult it was to cross the river with the heavy currents pushing it downstream all the time. But with powerful strength, it made to shore and was named the 3rd animal in the cycle. 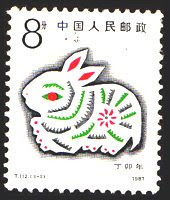 Suddenly, from a distance came a thumping sound, and the rabbit arrived. It explained how it crossed the river: by jumping from one stone to another in a nimble fashion. Halfway through, it almost lost the race but the rabbit was lucky enough to grab hold of a floating log that later washed him to shore. 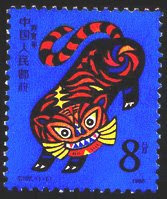 For that, it became the 4th animal in the zodiac cycle. 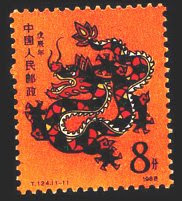 Coming in 5th place was the dragon, flying. Of course, the Jade Emperor was deeply curious as to why a strong and flying creature such as the dragon should fail to reach first. The mighty dragon explained that he had to stop and make rain to help all the people and creatures of the earth, and therefore he was held back a little. Then, on his way to the finish line, he saw a little helpless rabbit clinging onto a log so he did a good deed and gave a puff of breath to the poor creature so that it could land on the shore. 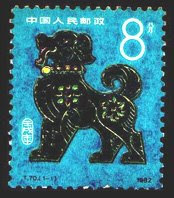 The Jade Emperor was very pleased with the actions of the dragon, and he was added into the zodiac cycle. As soon as he had done so, a galloping sound was heard, and the horse appeared. 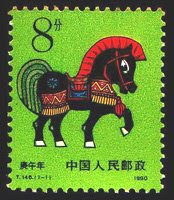 Hidden on the horse's hoof is the snake, whose sudden appearance gave the horse a fright, thus making it fall back and giving the snake the 6th spot, while the horse placed 7th.